Can doing good make money- csr 3.0? Corporate America’s response to CSR has mainly been one fueled by obligation to either regulators or grassroots organizations. It’s something that’s pursued on the sidelines of business and very rarely in-step or integrated with the corporate mission and certainly isn’t part of revenue generation. However, driven by rising energy and transportation costs, companies have started to take a look at how efficiency can save them money. This is a part of CSR, but not the whole picture, but given the money saving potential it places CSR higher on the corporate agenda and perhaps could be described as CSR 2.0. What about the next stage of development? CNET has a good story about the efforts of Google.org’s team with its Earth Engine project. This is basically a complex real-time mapping tool that’s been used to help prove out environmental issues. 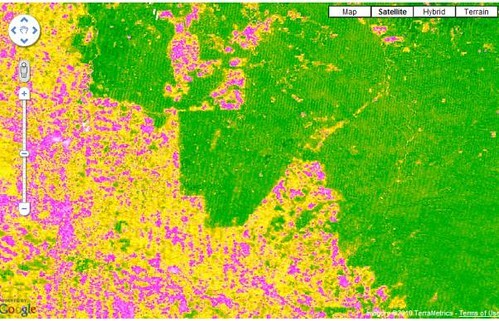 For example, Google worked with a tribe of Amazonian indian tribe to give them data and maps on deforestation. Google’s investment in time and technology has created a very powerful tool that could easily have commercial applications. It’s an extreme example because Google.org is funded to the tune of $45 million per annum, but it’s a lesson in how companies could think about commercializing their CSR efforts. Could biodegradable packaging developed by a snack company be licensed to others? Perhaps the same could be done with the efficient driving and navigational aids developed by the likes of FedEx and UPS that save time and energy be sold to other transportation companies? Most CSR efforts sit on the sidelines without the thought of any generating potential, but there might be another way of looking at it. This isn’t to stay that CSR should ever be based only on commercial considerations, but if there are benefits to the bottom line above beyond savings, they should be explored.